There are two main steps to configure VAT ID Validation in Magento 2: First, set up the customer groups and create the related tax classes, rates, and rules. Then, enable VAT ID validation for the store, and complete the configuration. Product Tax Class Product tax classes must include a class for products of all types, except bundle and virtual. Tax Rate The tax rate must include the VAT rate of the merchant’s country. Customer Tax Class A class for intra-union customers. Product Tax Class A class for all types of products, except virtual. Tax Rate VAT rates for all EU countries, except merchant’s country. Currently, this rate is 0%. Product Tax Class A class for virtual products. Tax Rate VAT rate of the merchant’s country. Store administrators can use existing group or create new customer group for VAT ID validation if they comply with business logic. When configuring VAT ID Validation, each of the formed customer groups must be assigned as a default for customers with appropriate VAT ID validation results. You have to create the tax rules that need to use VAT ID Validation effectively. Include tax rates and tax classes in tax rules. Assign tax classes to customer groups. On the admin sidebar click Stores. Click Configuration. Set Store View. On the left of the panel, under Customers, click Customer Configuration. Open the Create New Account Options tab. 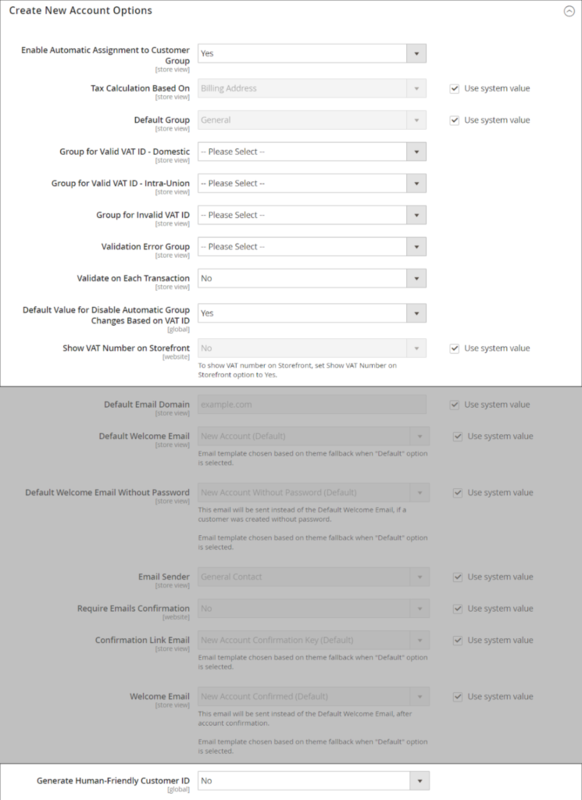 Set Enable Automatic Assignment to Customer Group to “Yes.” Then complete the following fields as needed and click Save Config. In Configuration panel, click General, open the Store Information. Select Country, enter the VAT Number and click Validate VAT Number. The result will appear quickly. Click Save Config. In General configuration section, open Countries Options tab. 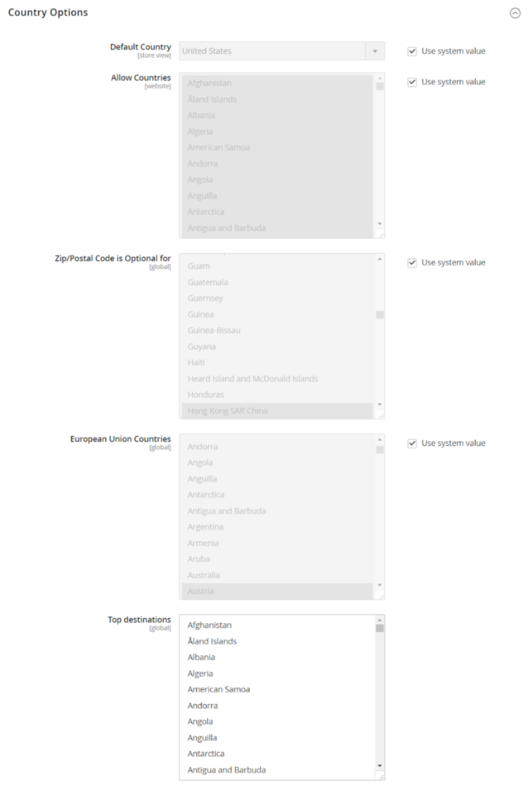 Verify that each member of the EU is selected in European Union Countries: uncheck the Use system value checkbox, hold Ctrl and click each state that you want to add or remove. Click Save Config.